Some of the lands acquired by Rosa Maria at the end of 18th century. Courtesy of El Manana. Image available on the Internet and included in accordance with Title 17 U.S.C. Section 107. Land Grant for La Feria Ranch, in Cameron County, to Rosa Maria, 1777. Image available on the Internet and included in accordance with Title 17 U.S.C. Section 107. Lands in Hidalgo County that Rosa Maria acquired, then passed on to subsequent generations. Courtesy of the University of Texas Rio Grande Valley. Image available on the Internet and included in accordance with Title 17 U.S.C. Section 107. HINOJOSA DE BALLÍ, ROSA MARÍA (1752–1803). Rosa Hinojosa de Ballí, a rancher known as La Patrona and the first "cattle queen" of Texas, was born in 1752 in what is now Tamaulipas, Mexico. She was the sixth of the nine children of Capt. Juan José de Hinojosa and María Antonia Inés Ballí de Benavides, Spanish aristocrats whose status as Primitive Settlers gave them priority rights to extensive land grants and public offices. The family moved to Reynosa in 1767, after Hinojosa was appointed alcalde, and joined the elite group of wealthy families who controlled the jurisdiction. Rosa María was educated in Reynosa, probably by the parish priest. She married José María Ballí, a captain of the militia; one of their three sons was José Nicolás Ballí, missionary developer of Padre Island. Captain Ballí and his father-in-law applied jointly for a large land grant in the La Feria tract, but both men had died by the time the grant was approved in 1790. Ballí's will specified that Rosa María was to inherit his share of twelve leagues (55,000 acres). When Doña Rosa took over the estate it was heavily encumbered with debts; by the time of her death thirteen years later, she had doubled the property and made extensive improvements to the La Feria grant. Skillfully and deliberately, she built up her landholdings. In the name of her brother Vicente she financed an application for thirty-five leagues of land in the Las Mesteñas tract. 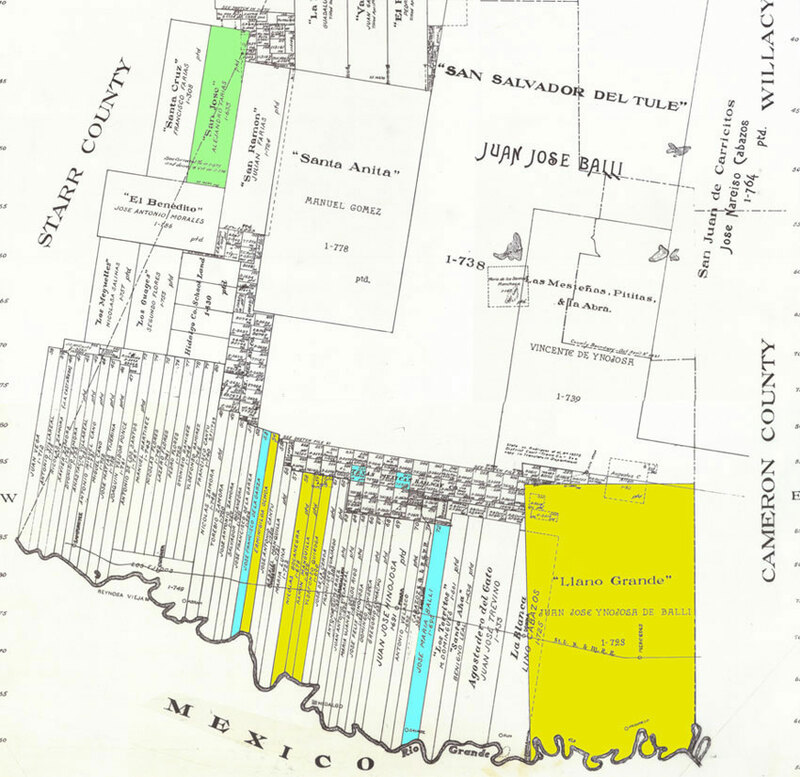 When the grant was approved, Vicente transferred title of twelve leagues to her, and she named the property Ojo del Agua, but that gift was never recognized by the state and the tract subsequently became Texas school lands. She applied in the name of her son Juan José for seventy-two leagues in the San Salvador del Tule grant and bought the Las Casteñas tract from the original grantees for her son José María. She made a joint application with her son Padre Nicolás who eventually became her business associate, for eleven leagues of what is now Padre Island. When reapplication was required in 1800, Doña Rosa withdrew her name in favor of her grandson. Lower Rio Grande Valley County Map. Image available on the Internet and included in accordance with Title 17 U.S.C. Section 107. She oversaw her lands from her La Feria ranch headquarters, La Florida, in what is now Cameron County. She amassed large herds of cattle, horses, sheep, and goats, and her ranches were territorial landmarks. Doña Rosa was perhaps the most influential woman of her time and place. She took full advantage of the opportunities that only widows could enjoy in Spanish society. Devoutly Catholic, she built and maintained a family chapel and endowed churches in Reynosa, Camargo, and Matamoros. 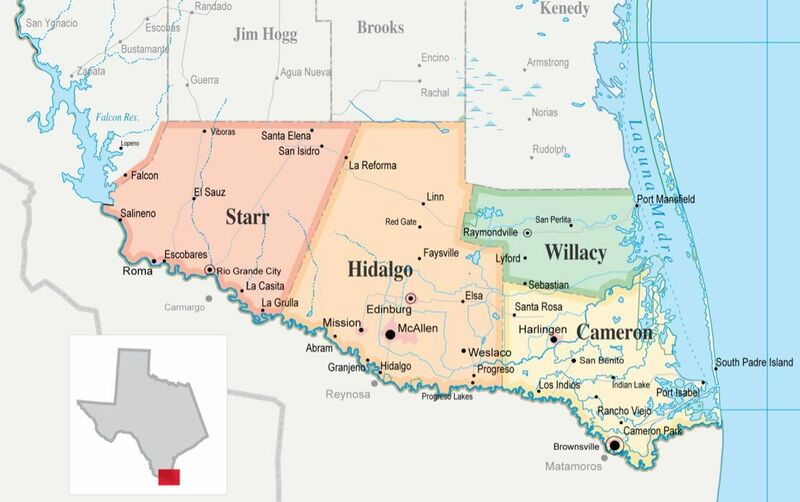 At the time of her death in Reynosa in 1803, she owned more than a million acres of land in the lower Rio Grande valley, and her holdings extended into the territories of present-day Hidalgo, Cameron, Willacy, Starr, and Kenedy counties. Vidal Covián Martínez, Cuatro Estudios Históricos (Ciudad Victoria: Universidad Autónoma de Tamaulipas, Instituto de Investigaciones Históricas, 1977). Minnie Gilbert, "Texas' First Cattle Queen," in Roots by the River (Mission, Texas: Border Kingdom, 1978). Florence J. Scott, Royal Land Grants North of the Rio Grande, 1777–1821 (Waco: Texian Press, 1969). Handbook of Texas Online, Clotilde P. García, "HINOJOSA DE BALLI, ROSA MARIA," accessed April 24, 2019, http://www.tshaonline.org/handbook/online/articles/fhi50. Uploaded on August 31, 2010. Modified on April 26, 2017. Published by the Texas State Historical Association.